Non-ammoniated formula cleans windows, mirrors, appliances, countertops, painted walls, chrome, stainless steel, porcelain, ceramic tile and more without streaking. Simply spray and wipe for clear, sparkling-clean surfaces. Application: Mirrors Windows Applicable Material: Glass Chemical Compound: Alkaline. 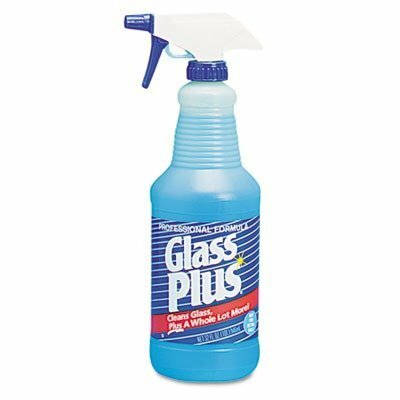 If you have any questions about this product by Glass Plus, contact us by completing and submitting the form below. If you are looking for a specif part number, please include it with your message.